It was home to some of Australia’s most successful racehorses, now South Australia’s former Lindsay Park property has a crop of new arrivals. 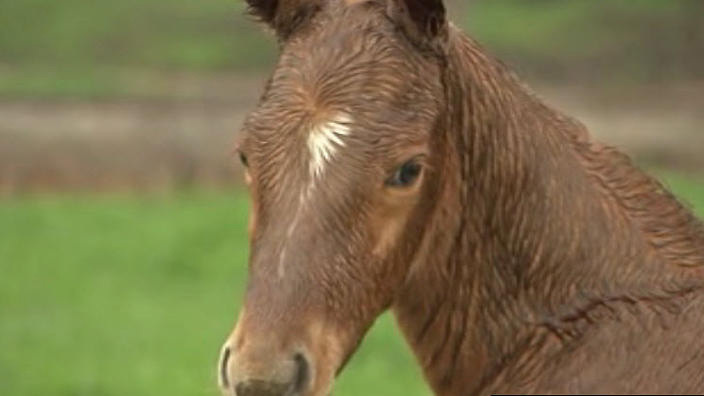 On the former thoroughbred racing stud known as Lindsay Park in the Barossa Valley, a dozen newborn foals are finding their feet. They’re the offspring of former champion racehorse Akeed Mofeed – the first of around 60 foals expected to be born on the property this spring. Goldin Farms stud manager Andrew Perryman said he hoped they would help restore the site to its former glory. “We’re very pleased to have our first crop of Akeed’s foals on the ground this year,” he said. The site was originally developed by legendary Australian trainer Colin Hayes. 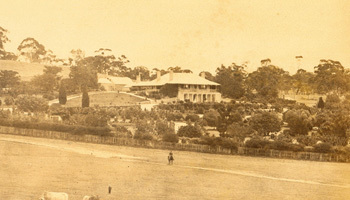 Under his management, and that of his son, David Hayes, it was home to many champions, including three Melbourne Cup winners. It was sold 18 months ago when David Hayes decided to shift the family business to Victoria, where the horse racing industry is more robust. 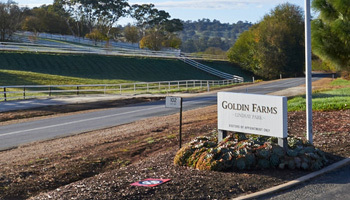 The stud was divided, and part of it was purchased by Hong Kong property investor Pan Sutong, who renamed it Goldin Farms and preserved its usage as a nursery for potential future champions. Thoroughbred Racing South Australia Chief Executive Jim Watters said it followed an increasing trend of foreign investment in the industry. “I think Colin almost created something so large that it almost required the investment of someone outside of Australia to then take it on,” he said. Sam Hayes, the grandson of Colin Hayes and the nephew of David Hayes, runs the Cornerstone thoroughbred stud adjacent to Goldin Farms. It, too, was once part of the original, sprawling Lindsay Park property. He said the family was happy to sell to an owner who would keep the site connected to the racing industry, particularly in a state struggling to compete with its east coast neighbours. “For us to see people investing in our industry in Australia, to see people employing locals and growing our industry here in SA, that’s a massive positive for us,” he said.